After around five years of procrastination, we now have a new fence. 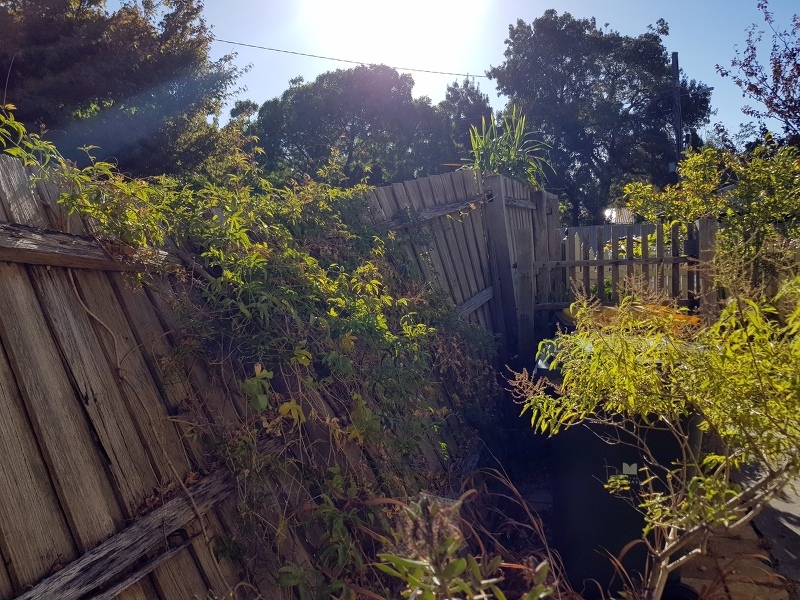 Almost entirely due to the more organised adult of the household, I suspect I’d have been tempted to let the old fence lean further and further over until it fell into the neighbour’s garden. After a few false starts we finally managed to acquire the requisite number of quotes on fence replacement, got in touch with the managing agents for the neighbour’s house, got approval and got it all started. 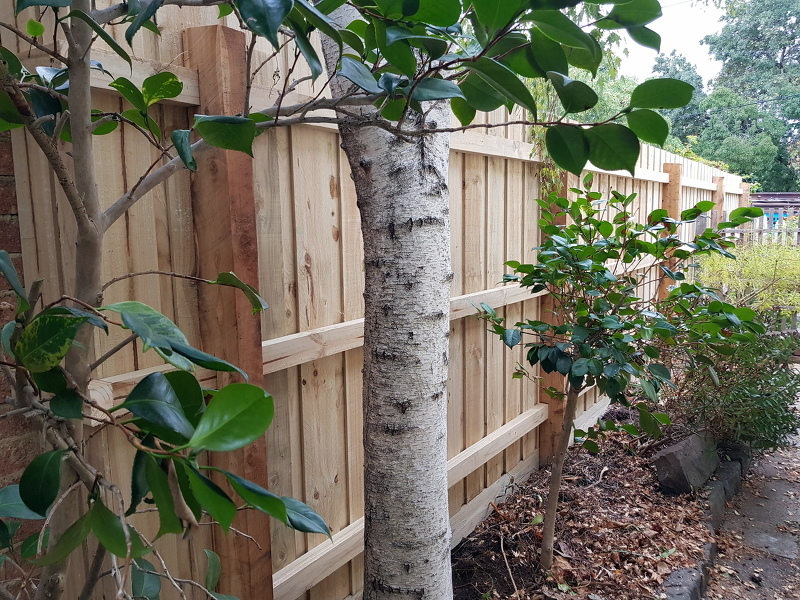 This morning Sam & Grant turned up at [2018-03-15 Thu 07:45] and got to work, I’m not sure how long it took but by the time I came home we had a shiny new fence. The new fence is nowhere near as photogenic as the old and has no character, but it does look a lot more sturdy and it stands vertically, where the old one was leaning over at around 60° and seemed to mostly be held up by a trellis of vines.